Professional development is a large part of what our Development Accelerator students study during their eight weeks on campus. This five-part series is a glimpse into the training they receive to polish their online presence and be successful in their job search. Attending meetups might not sound like fun—especially if you’re shy—but they’re still important to participate in since they can lead to a job, grow your network, and improve your skills. Bring an outgoing friend or colleague with you. You’ll get to join the conversations without the pressure of carrying them. Take the spotlight off of yourself by putting it on the person you’re talking to (besides, people like talking about themselves). Be curious, ask questions, find out what tips they have to offer and how they got into programming. If you go to events that you’re genuinely excited about—and the other attendees are equally excited—you’ll automatically have something in common with everyone in the room. You might not meet your future employer at a meetup, but you’ll probably learn about them. Since you’ll be surrounded by people who are interested in the same technology and industry as you are, they’ll have ideas about where you should apply, who you should talk to, what other meetups you should consider, how you can improve your personal projects, and so on. True networking isn’t about making small talk to get you a job. Networking is meeting new people who you like and want to stay connected to, and exchanging ideas. So, if you meet someone and the relationship is uncomfortable, drop it and pursue the next. No pressure. 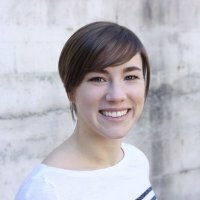 Gina is a communications expert who has worked broadly the international communities of Europe, the Middle East, and North America as a freelance copy editor, as the Editor-In-Chief of a Seattle-based newspaper, and as a business and partner development specialist in the tech startup world. She likes reading books, drinking soy lattes, and combining those two things.